Well, 2004's line-up promised great things - The Darkness and the White Stripes headlining, plus the potential of Morrissey being, well, Morrissey infront of a hard-rockin' audience. There were some treats in store lower down the bill, too: Goldie Lookin' Chain opening the main stage, plus Young Heart Attack, and, in the tent, the mighty Danko Jones. What we hadn't bargained on, of course, was the great British weather, which turned Saturday into a mudbath. 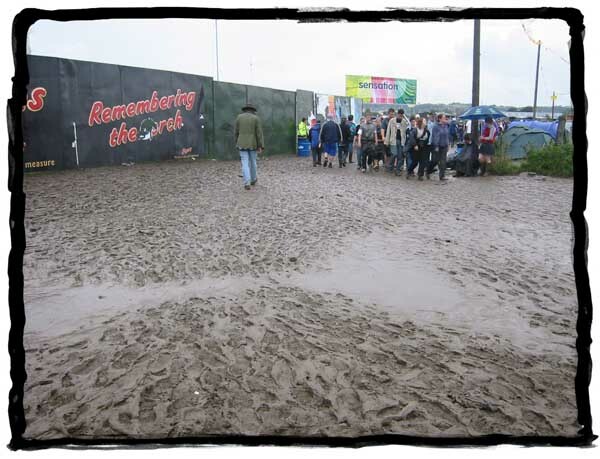 Still, we're British, so we should be used to it, and are we going to let a little bit of mud disturb our stiff upper lips or allow the rain to dampen our spirits when there's a festival to be enjoyed and lager to be drunk?